It is widely used in beverage, food, medical-chemical combinative package. It can make package perfect whatever it is without pallet, catoon, rectangle, round or flat shape. It has the advantage of less cost and better appearance. 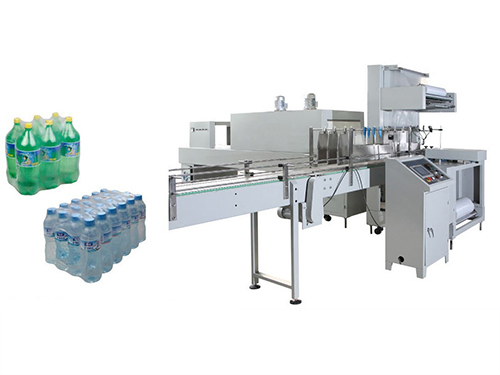 It applies PLC automatic controller, man-machine interface, ensure that no fallen bottle, no bottle shortage. It adjusts flexible, safe and beautiful. The adjustable hot wind recycle structure make machine suits for all kinds of thermal films(including color printing). Replace film conveniently. It has failure alarm, lock device, reliable runnig. Bottle conveyor device: transfer goods which need package. Block bottle, dispart bottle device: transfer packages in separateway and control strock of package. 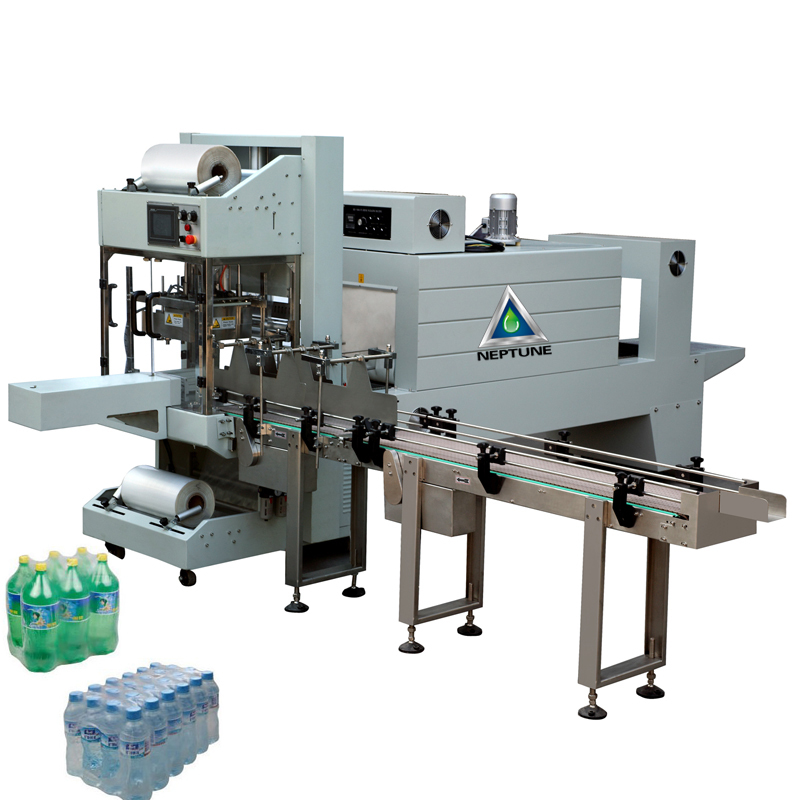 Block bottle position inspecting device: separate bottles to package and consequent bottles. Pushing bottle, guild bottle device: Pushing bottles to sealing and cutting. Film fix length conveyordevice: transfer package film. Sealing&cutting device: seal and cut package film. Hot wind recycle device: To fulfill thermal shrinkage function. Heat resistant conveyor device: Transfer finished products under high temperature, and fulfill thermal shrinkage function. Finished product storage device: storage products temporally. Colling device: Cool product so that convenient transfer products to required position. The bottle and box which need to be packed is transferred to block bottle plate along dispart bottle device. The bottle conveyor will stop when photoelectrical inspector on the top send out a signal, while block bottle plate stand back to release pressed force of bottle. The separate plate up rises to separate packing bottle and bottles to be packed. Push bottle device pushes packing bottle and film along with guils bottle device to sealing&cutting position, meanwhile pushes the last package onto conveyor of thermal shrinkage equipment, meanwhile film feeding device is working. Then the thermal sealing&cutting move downward, to sealing and cutting. The package which been pushed onto thermal conveyor is go ahead and finish thernal shrinking function, finally it goes to strong device after colled by cold wind. The above processing fulfills automatic packing. The above movements are all done by air cylinder under PLC control, except conveyor system.